Check out what I found on a X5 E70 with CPO,,,,while replacing and updating the ignition coils I found the rear input shaft seal leaking on the rear differential. These are some of the tools needed for this job,,,,you can not do this job without these tools,,,,there no way BMW made sure of that,,,,the tool on the right that looks like it fits over a big nut,,,,that one is used to unscrew the driveshaft from the rear differential,,,,,the other one with 12 points is used to unscrew the rear differential final drive nut for the pinion,,,,,BMW has both these bolted down real tight and they used a lot of lock tight on the threads,,,,they use so mush that you have to warm it up to loosen the lock tight. 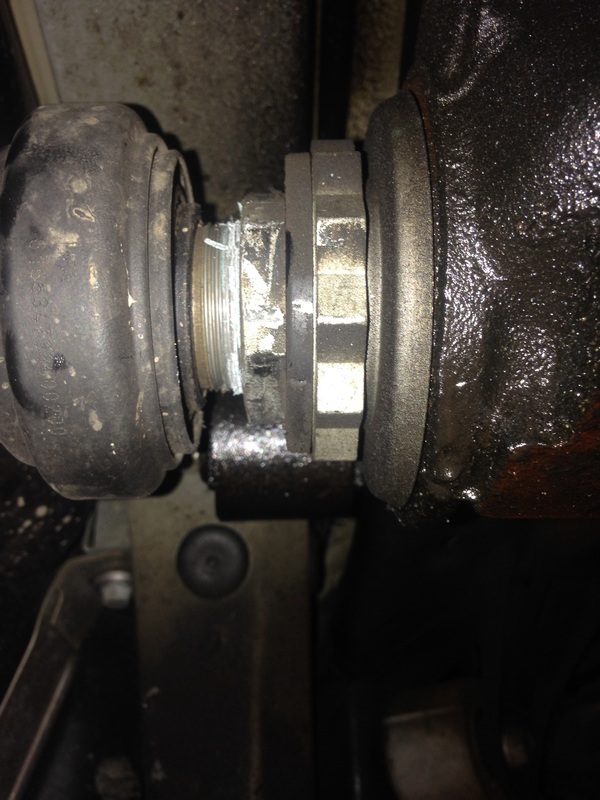 Here you can see the driveshaft being unbolted from the rear differential,,,,,you can see some threads coming out also you can see all the lock tight on the threads. 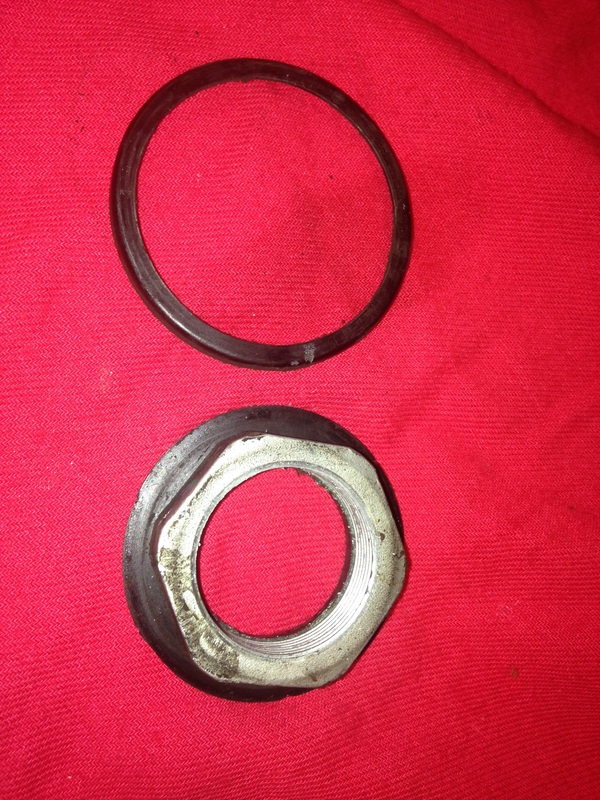 This is the big nut you just saw,,,,,that you turn to release the driveshaft from the rear differential,,,,,you have to replace this big nut when performing this job,,,,,,I have seen some people chose not to,,,,,and get in trouble later on,,,,what happens is all the lock tight and all the torque of the driveshaft,,,,puts a lot of stress on this nut,,,,when you replace it and tighten it down,,,,BMW say to wait 2 hours before driving to cure the lock tight. 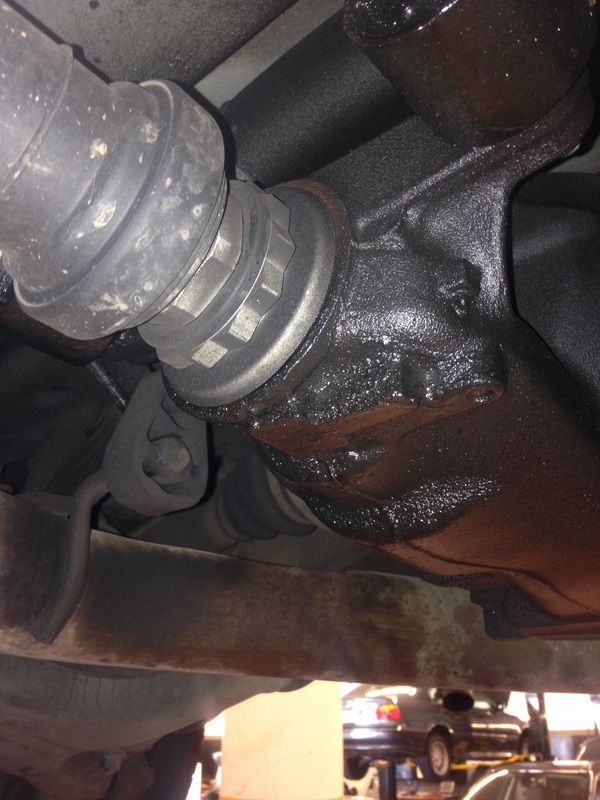 This entry was posted in Uncategorized and tagged E70, leak, Rear differential, x5. Bookmark the permalink.